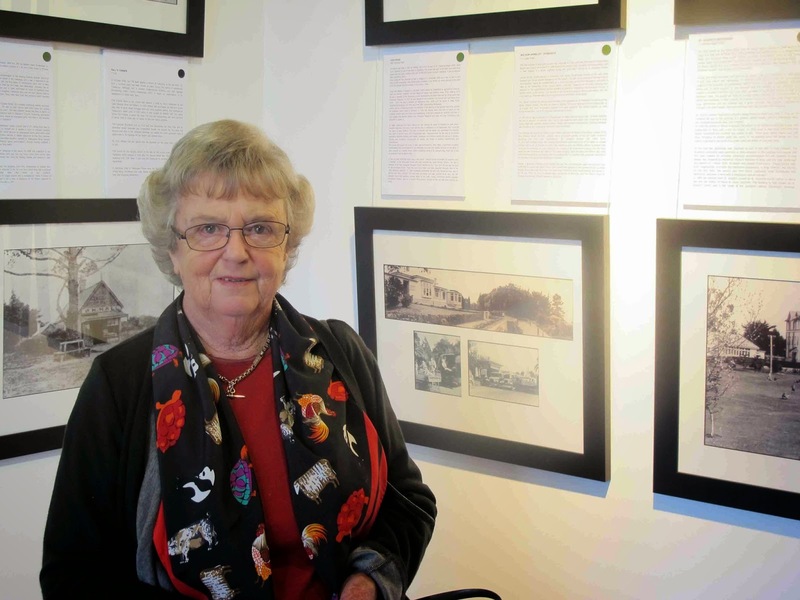 The Lake House Arts Centre in Takapuna is celebrating the Auckland Heritage Festival with some exciting events, classes and exhibitions. 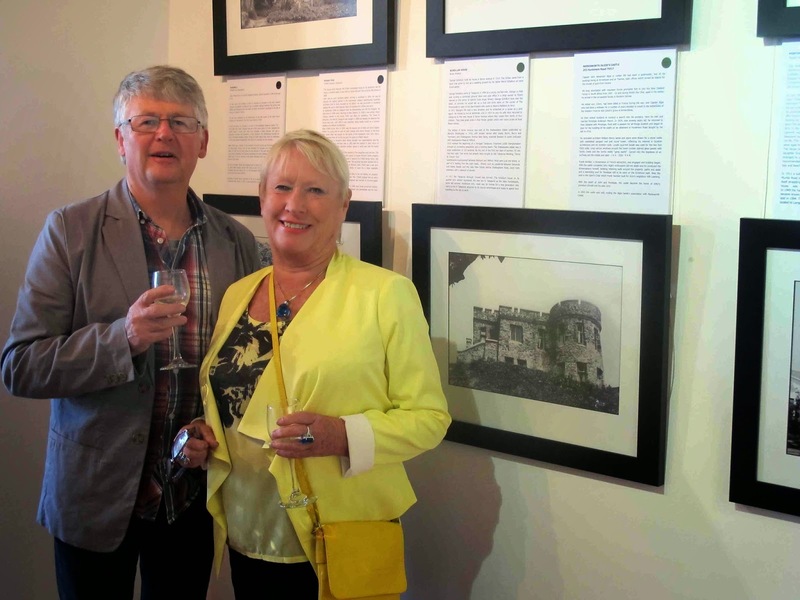 This evening it was the opening of the exhibition 'Heritage Homes-a re-imagining - featuring Marie Potter. 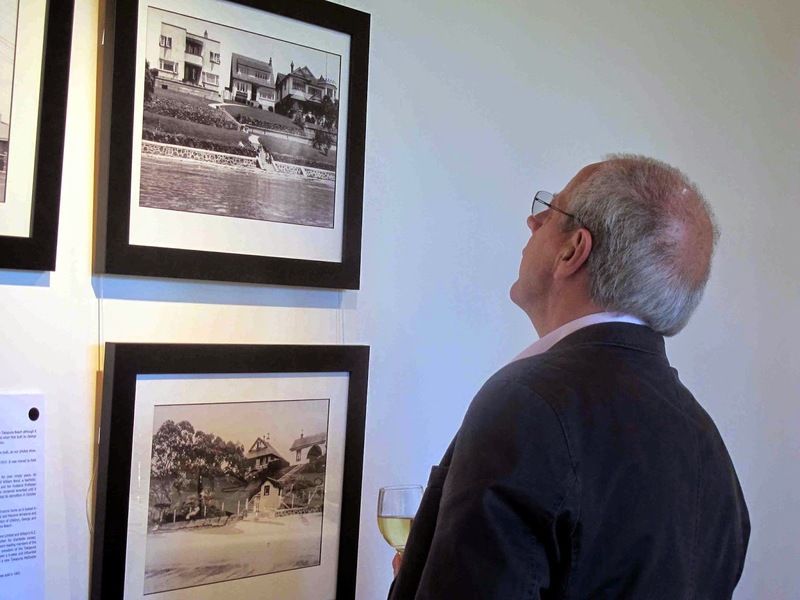 It was a relaxed and celebratory occasion with many a tale told of bygone Takapuna days by some of the guests while sipping a glass or two of wine. Ghee may seem like an unusual ingredient to use when making a sweet corn salad but its high smoke point allows the corn to brown without burning.It also adds a deliciously nutty flavour which combines surprisingly well with the tangy citrus chilli salt. Once hot, add 1 crushed clove of garlic and a drained 400g can of sweetcorn and fry these over a moderately high heat until the sweetcorn is starting to brown lightly. Add 1 chopped spring onion and fry for a further minute. Put the contents of the frying pan into a ceramic bowl . Add lots of chopped coriander and toss. My approach to dressing a salad is playful. The usual starting point is the classical proportion of 3 tablespoons of olive oil to 1 tablespoon of vinegar/citrus juice. After that I'll add different kinds of salt, black pepper, minced garlic, a little mustard, a dab of honey, or chopped herbs like mint, basil or coriander. I taste as I go. Here are two very simple dressings I made today. The flavoured salts spiked them up nicely without being overwhelming. I love the attractive little tins they come in as well! There are times when I really just want to stretch out on the sofa, a glass of wine in hand, instead of cooking dinner. But eventually hunger pangs will send me off on a small journey to explore what's in the garden and pantry. This is the meal I rustled up with what was on hand last night. 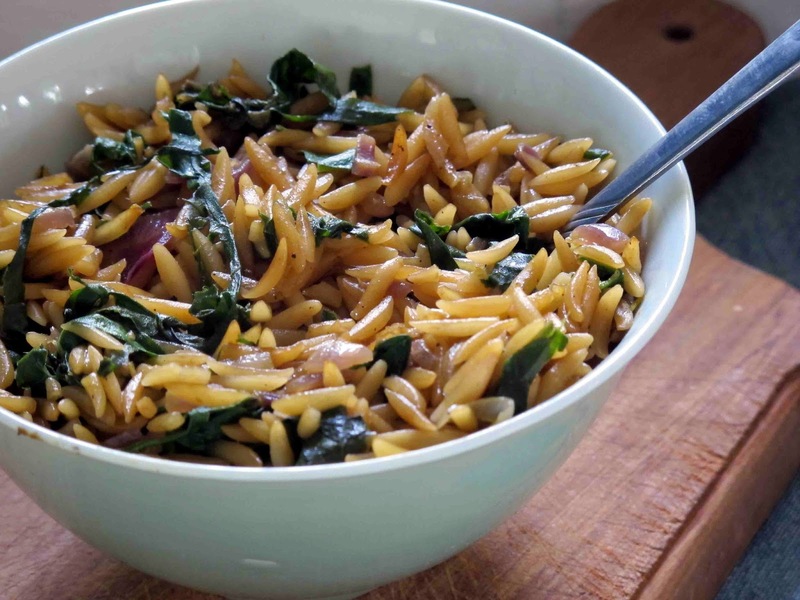 It ticked all my boxes for simple, healthy and fast. The dedicated meat eater in our house preferred his sausages! And we shared a green salad. In a large frying pan, over a moderate heat, fry the onion and garlic in the olive oil and butter. When they are golden add the bay leaf and continue to fry for 1 minute. Add the hot chicken//vegetables stock. Simmer uncovered (stirring from time to time) until all the stock is absorbed and the risone is tender. Fold in the spinach and continue to cook for a few minutes util it has wilted. Add black pepper and another splash of IAMSAUCE to taste. 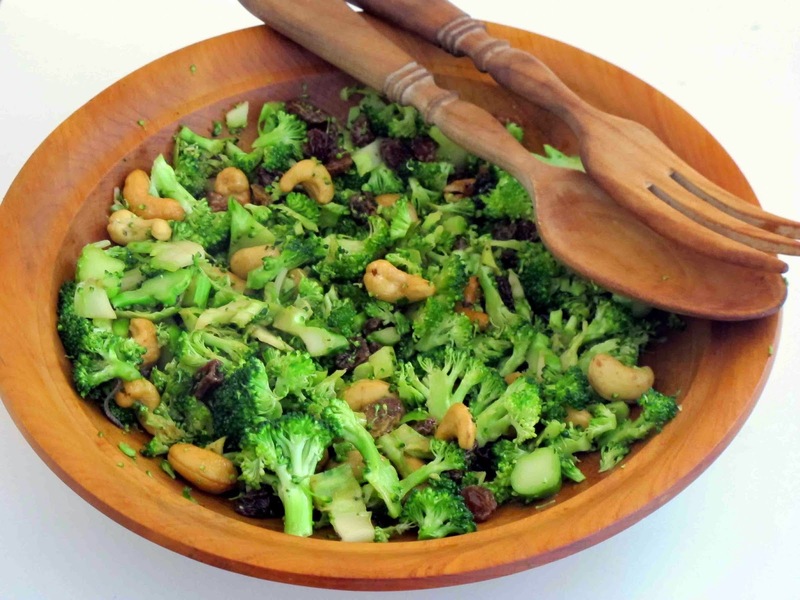 I think the addition of some toasted pine nuts would have made this recipe even nicer but I had none on hand. IAMSAUCE ( the capitals and joined words are not a typo! That's how it's called) is one of those useful store cupboard sauces full of Asian flavours that you can pour over foods like fish and chips, salad, rice and sushi veges. The sun was shining brightly this morning as I huffed and puffed all the way to the top of North Head in Devonport with a friend . Our lack of fitness and muffin tops were a salutary reminder to put away those stodgy recipes that we eat to sustain ourselves when the weather is chilly. Time now to chow on some raw energy . Which is why I created this broccoli slaw for lunch. A small handful of salted cashew nuts. Slice the broccoli florets and some of the stems very finely. Add the cashews and raisins. ps IAMSAUCE is anaturally brewed soy sauce with fresh ginger, honey and tamarind. Rachel, my gluten free daughter, serves paw paw salsa as part of an easy Mexican dinner. She simply buys a roasted chicken and a bag of coleslaw from the supermarket. The chicken meat is pulled from the bones and shredded, the coleslaw comes with its own dressing and all that is left to do is to make this delicious salsa. Everyone fills their own corn tacos at the table. So easy, so good! This is such a quick and easy recipe for a midweek family dinner.It's mildly spiced with Tio Pablo's Mayan Gold Mexican Seasoning Mix. Gently fry 2 cloves of finely chopped garlic and one chopped onion. When the onion has softened add 500 grams of prime mince and keep frying until the mince has browned. Add 2-3 tablespoons of Tio Pablo Mayan Gold Mexican Seasoning Mix, 1 can (400 g) of chopped tomatoes and 1 cup of chicken stock. Cook stirring occasionally until the liquid has reduced. It should not be too dry but still a little soupy. 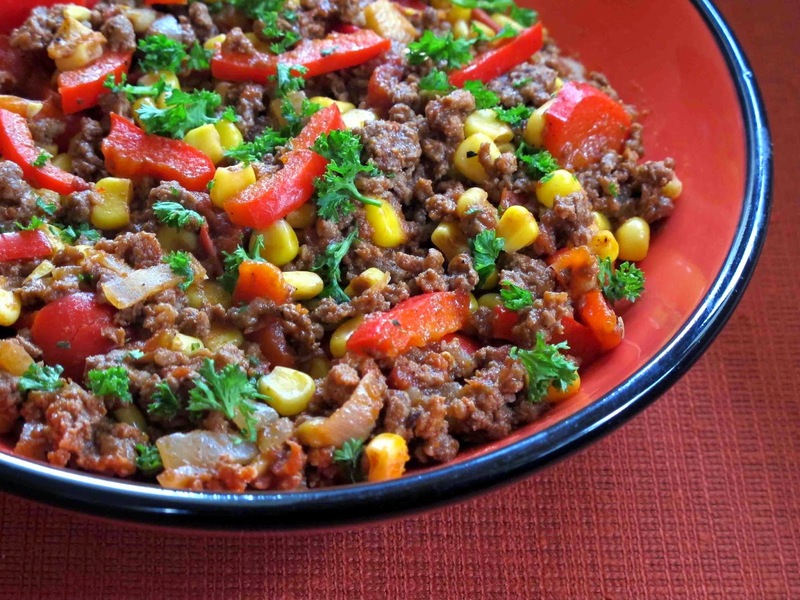 Add 1/2 cup of sweet corn ( from a can is fine) and a chopped red pepper. 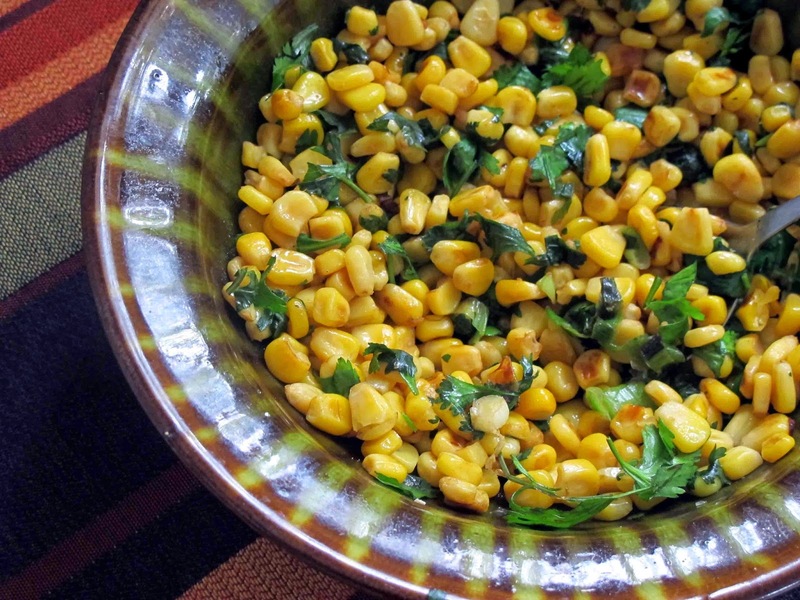 Put in a serving bowl and garnish with coriander and/or parsley. Serve with boiled rice and a tossed salad of mesclun, tomatoes, cucumber and lots of sliced avocado. There is still a copious amount of coriander growing in our garden so what better way to use some of it up than in this fresh green salsa I created this morning. 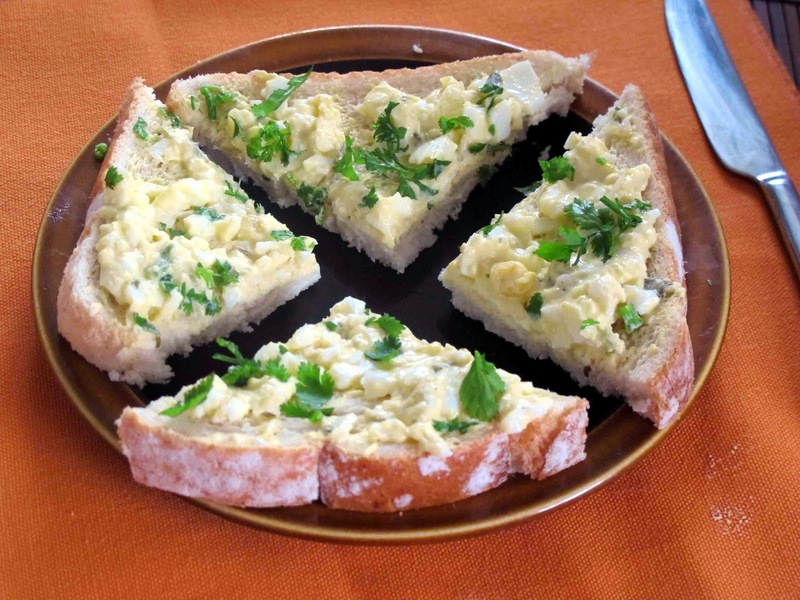 It's good to add to an eggy sandwich filling as well. For the base I used Tio Pablo Salse Verde. 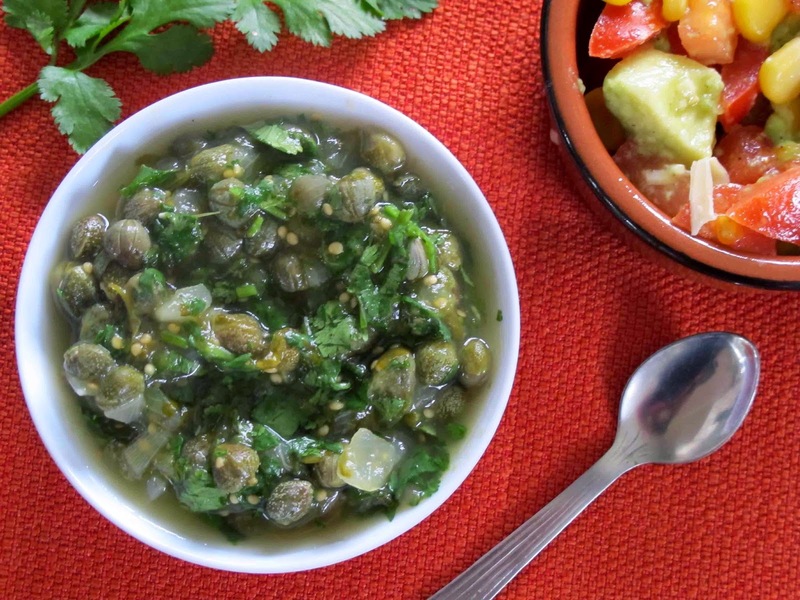 This mild Mexican salsa contains tomatillos , a green fruit which is related to the cape gooseberry . It's been fun playing with a box of Mexican ingredients which Tio Pablo sent me. I had been wanting to try my hand at creating some recipes with a Mexican flavour . My gluten free daughter recommended their products and as I like the fact that they are a New Zealand company with a healthy approach I was happy to give them a try out. Mash altogether and use as a sandwich filling. Early this morning when I got up the jasmine blooming profusely in the garden caught my eye. 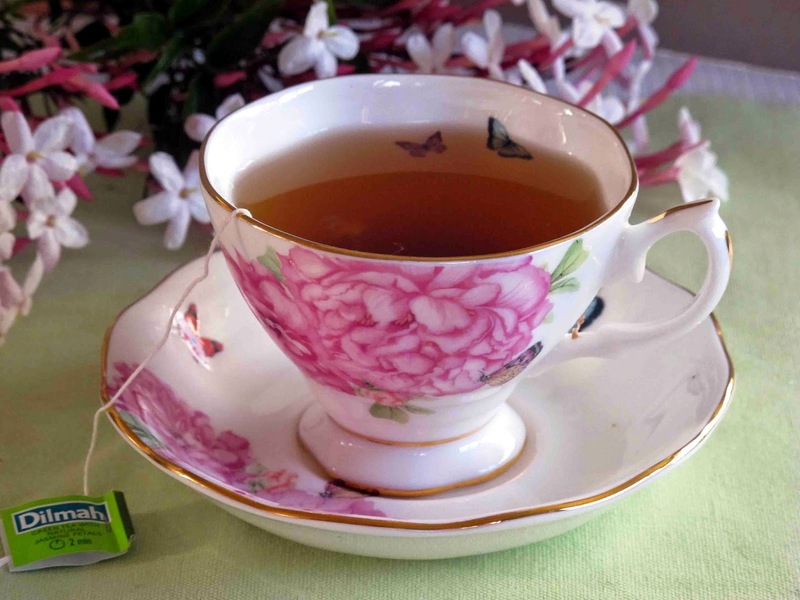 A reminder to brew a cup of Dilmah Green tea with Natural Jasmine Petals. Its gentle floral scent and health giving properties made for a lovely start to the day. Shortly after taking this photograph the sunshine had turned to rain . The Spring weather in Auckland has been very unpredictable lately! Dilmah tea is currently donating 50c cents to Hospice from each pack sold in their green tea range – so if we purchase a specially marked pack we'll help raise much needed funds to support hospice services. The goal is to sell 40,000 packs of tea – so do try it! 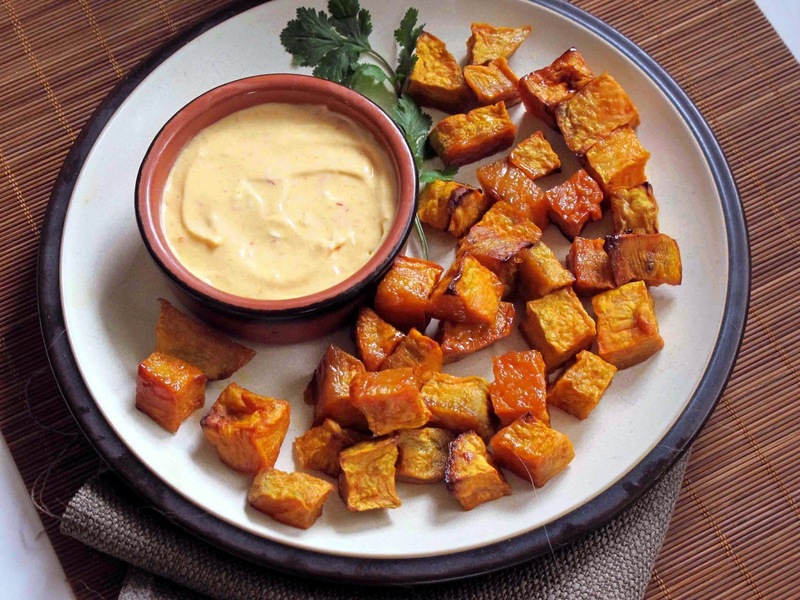 A Creamy and Spicy Mango Dip with Roasted Kumara Chips. 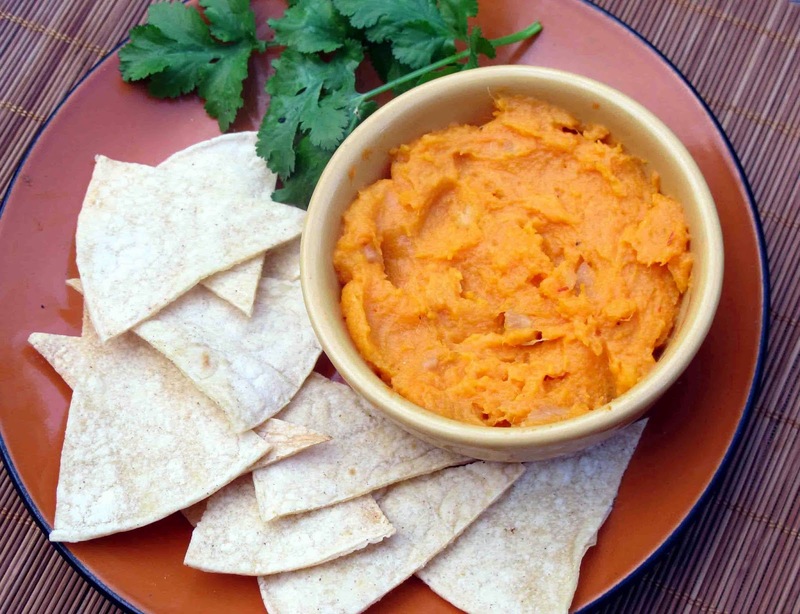 Here's a creamy and spicy dip with Mexican flavours. I served it with orange kumara chips which were roasted until golden brown with a little olive oil and a drizzle of maple syrup. A squeeze of lemon/lime juice . Election night is coming up and we'll be gathering around with chips, dips and a glass or two of wine to see what eventuates. I've been trying my hand at creating some spicy new dips with a Mexican flavour. 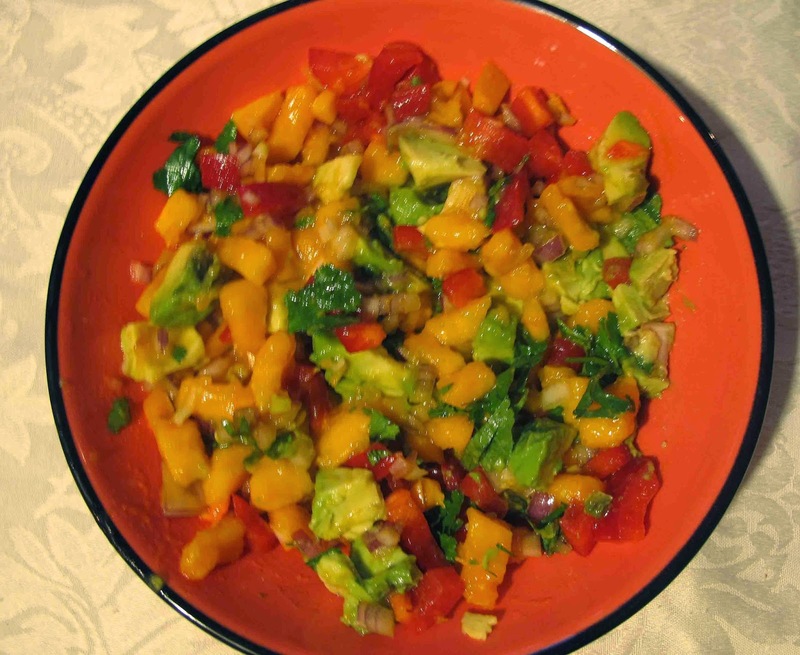 Here's one made with Tio Pablo Tropical Salsa Picante de Mango which is flavoured with mango, red jalapeno and lime. Mix two tablespoons of Tio Pablo Tropical Salsa Picante de Mango and 3 cubes of crystallised ginger ( finely chopped) into 1 cup of mashed orange kumara. Thin with about 2 tablespoons of crème fraiche /full cream yoghurt and sharpen if wished with a little lemon /lime juice. Season to taste with salt and pepper.Garnish with coriander. This is especially good with home made chips made by cutting Tio Pablo authentic corn tortillas into 8 pieces and crisping up and browning these in a moderate oven. You can brush the chips lightly with olive oil and scatter a little sea salt on top but they're good plain as well so I don't worry. This dessert is a spicy variation on Chocolade Vla one of Holland's most iconic and popular desserts. Everyone of Dutch descent will remember it from their childhood. It appeared daily on the dinner table in large glass bottles with its twin Vanilla Vla / or some yoghurt for an instant and easy dessert. I used Tio Pablo Chocolate Azteca, a traditional Mexican Hot Chocolate mix (containing dark cocoa, cinnamon and chilli spices) to make it deliciously spicy. 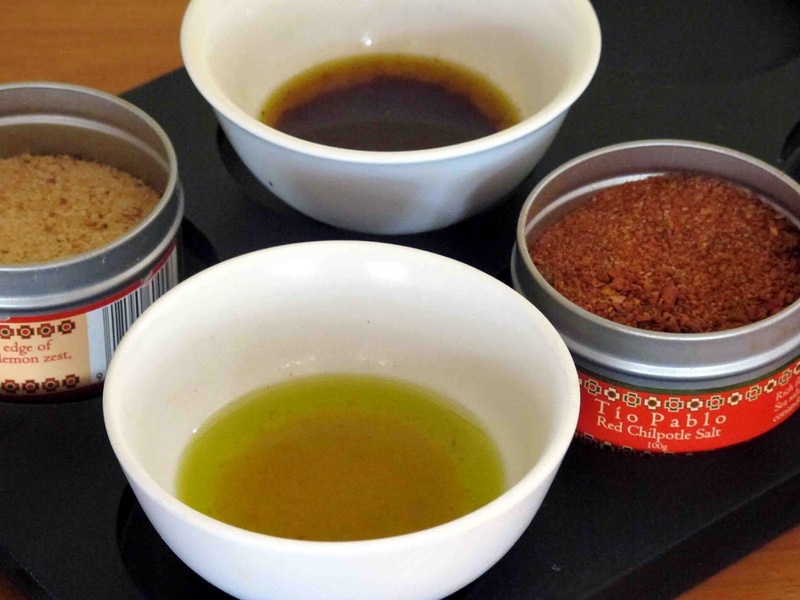 For most adding one tablespoon will be enough, but those who love heat may like to risk two! 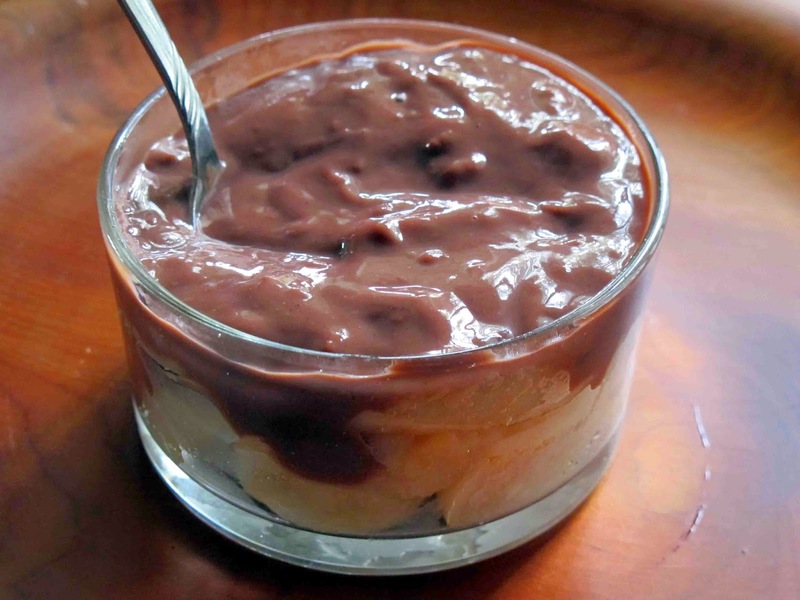 If you make this pudding with lite milk and very little sugar it's not too sinful at all! You can leave it to chill in the fridge where it will sets a little softer than a mousse, or pour it over poached pears, peaches or apricots while still warm. 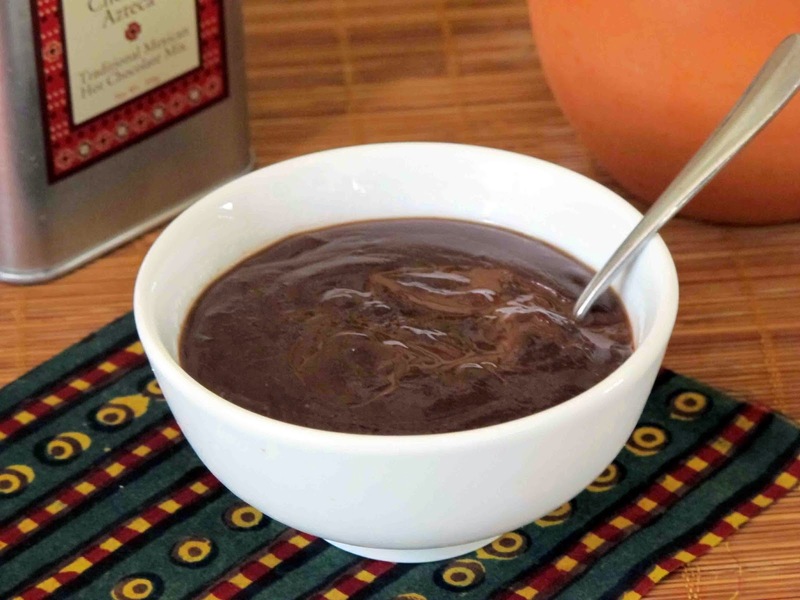 In a bowl mix the Tio Pablo Chocolate Azteca, cornflour, brown sugar, vanilla essence and 1/4 cup of milk. Whisk together until the mixture is totally smooth. Heat the remaining 1/2 cup of milk and then gradually stir in the chocolate mixture. Keep stirring until the mixture comes to the boil. Simmer for a further 1-2 minutes until it has thickened to the consistency of a thick sauce. Pour into a bowl , cover with glad wrap and leave to chill in the fridge for a few hours. In times past I cooked button mushrooms in a decadently rich sauce loaded with cream and laced with sherry. Wiser now, I prefer this lighter and healthier recipe in which I use Asian flavoured IAMSAUCE. 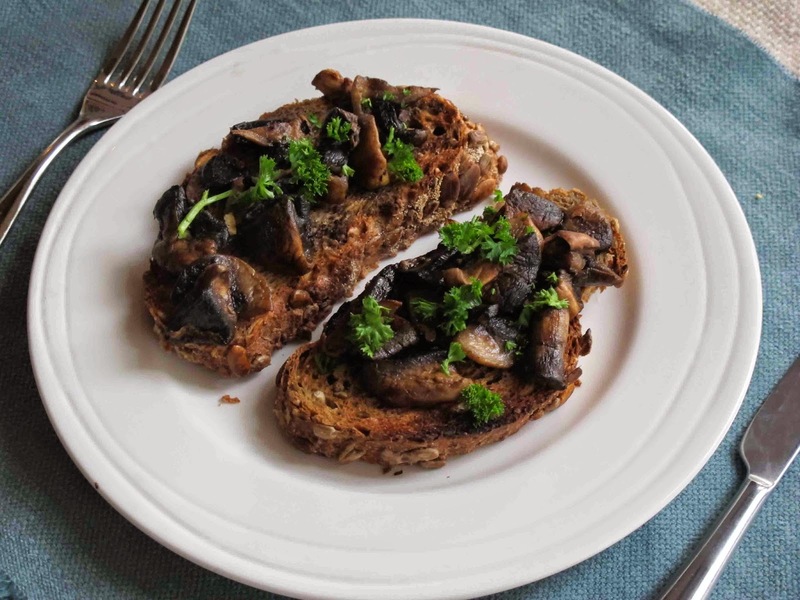 The mushrooms are heaped onto two slices of wholegrain toast (Loaf's hand crafted seeded and chewy batard is perfect for this) to make a nourishing breakfast. There is an interesting back story. It was created by Henry Mackenzie who, after travelling in Thailand after a friend's wedding decided to experiment and to put all those salty, sweet and savoury flavours he had experienced into one bottled sauce. 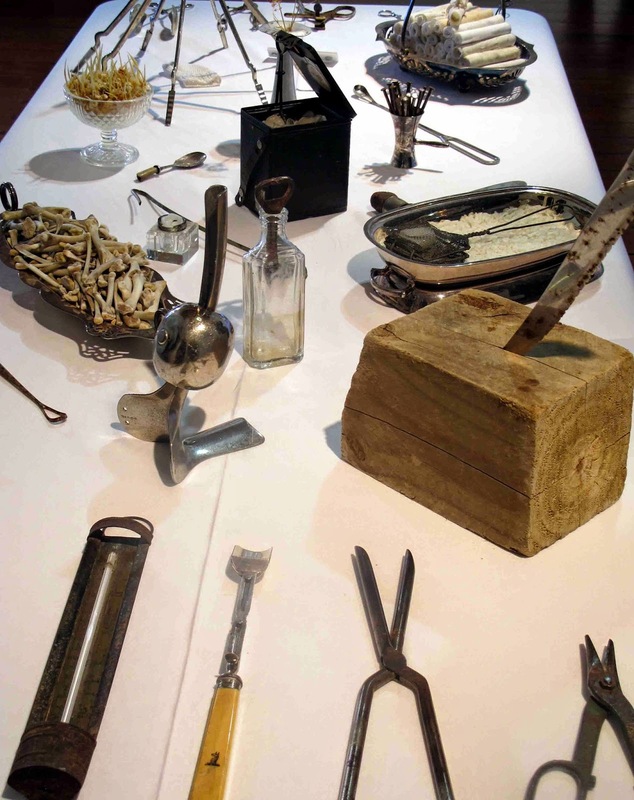 His wizzard's experiment took place in the Foodbowl, a state of the art resource near Auckland's airport with high tech equipment and access to food scientists. Here small producers with great ideas are assisted to make premium products that can earn New Zealand export dollars. Into the mix went a mixture of Kikkoman ( salt reduced) soya sauce,fresh ginger; sesame oil; and fresh chilli. Preservatives , additives and added sugar were purposely excluded. The result, a tasty sauce which can replace soya sauce in many recipes but with more complex flavours and less salt. 2 slices of wholegrain toast. Fry the chopped mushrooms and garlic over a moderate heat in the olive oil for about 3 minutes until they have softened. Stir in the butter and 1 teaspoon ( or more to taste) of IAMSAUCE. Continue to cook until the butter melts in. Heap the mushrooms onto two slices of toasted grainy wholemeal bread. Season with plenty of freshly ground black pepper. 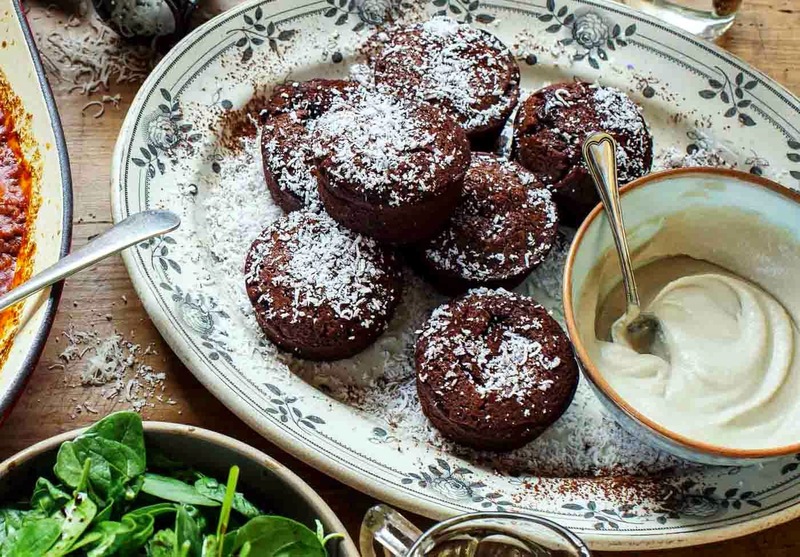 When you dig into these little molten chocolate cakes with a spoon the gooey chocolaty centre oozes out, so deliciously decadent! 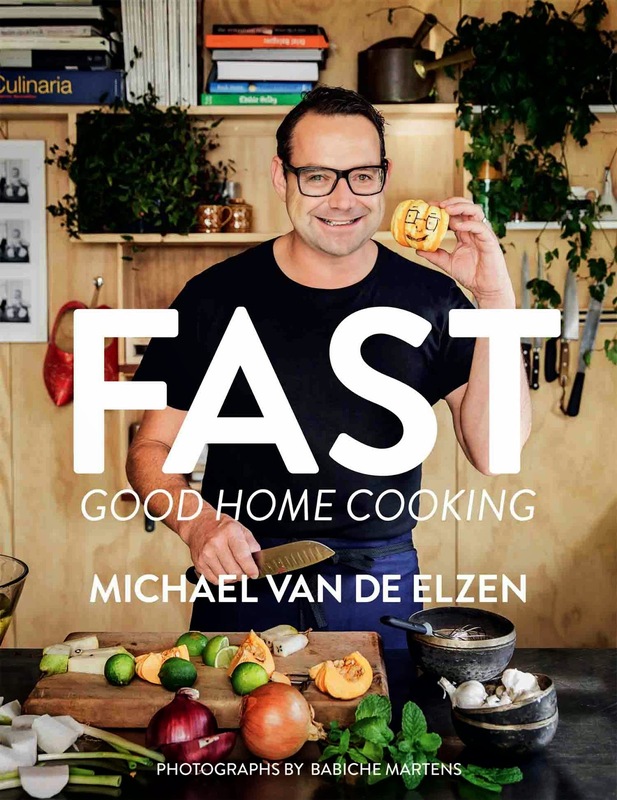 The recipe comes from FAST Good Home Cooking by Michael Van de Elzen (of Food Truck fame). His mission is to get kiwis cooking and eating wholesome, fresh, healthy and tasty food and to steer them away from purchasing highly processed foods. This new cookbook is full of quick to prepare and affordable dishes to share with friends and family. 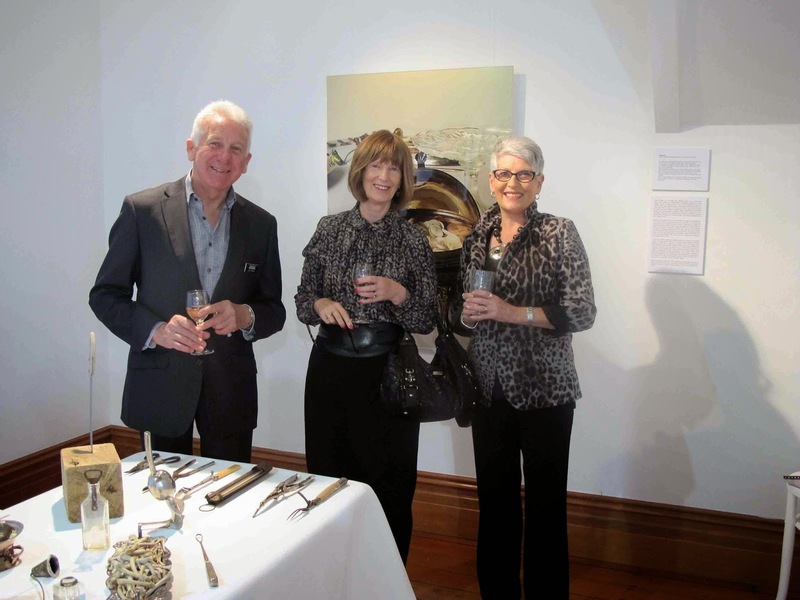 We loved his recipes for lamb tacos, citrus prawn noodle salad, pork sliders and sticky ribs. And for dessert it was hard to choose between the almond citrus cheesecake, wholesome frangipane tart, spiced rum tiramisu and these molten chocolate cakes. But as we are chocoholics they were the favourites! Prep time 15 mins / Cooking time 12 mins. 1. Preheat oven to 200°C. Grease 6 x 125ml moulds with first measure of butter, then place in fridge until ready to use. 2. Melt chocolate and unsalted butter together in a bowl over a saucepan of boiling water. Meanwhile, whisk together eggs and sugar in another bowl until combined. Add flour and salt and whisk until smooth. Combine egg mix and chocolate and gently stir together. Spoon mix into moulds until three-quarters filled. 3. Place moulds on a baking tray and bake in oven for 12 minutes. Add a little bacon, some Béarnaise sauce and a poached egg and you have a decadent breakfast. Or serve these as a side with a perfectly cooked steak. 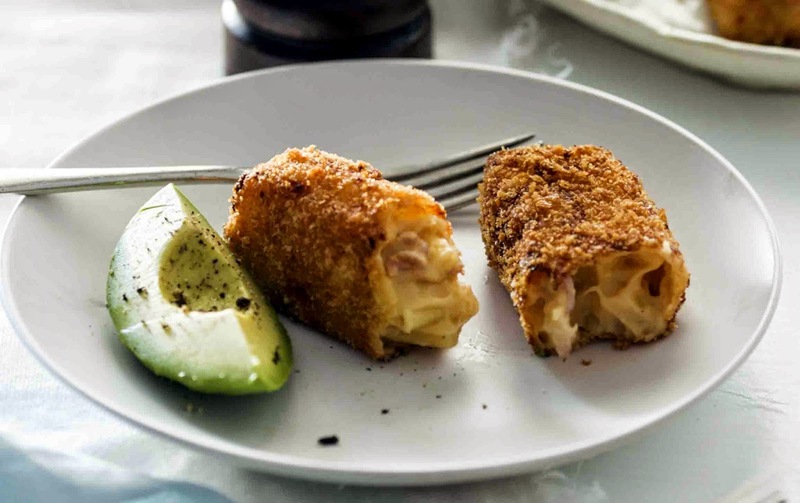 Everyone loves macaroni cheese, so won’t be able to resist it fried up so it is crunchy on the outside and gooey in the middle. 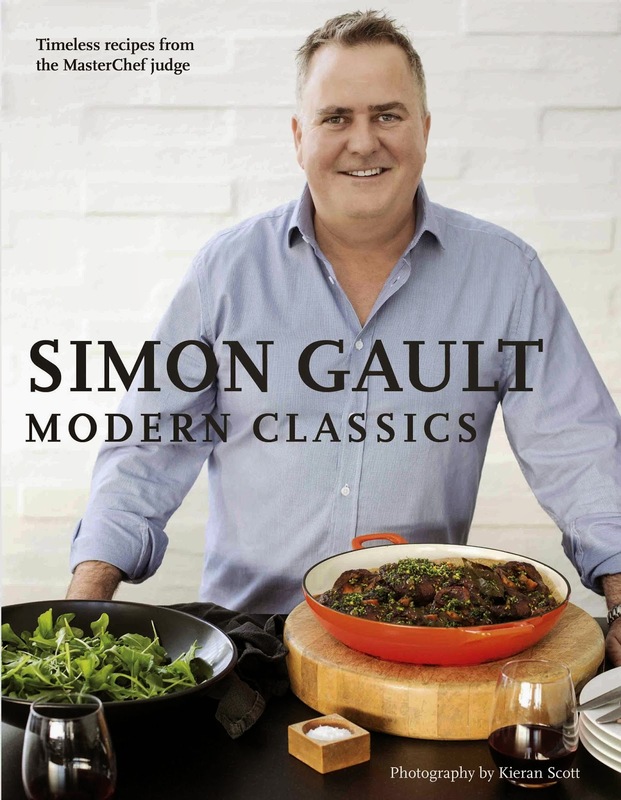 The recipe comes from ‘Simon Gault Modern Classics’ .This is a great new recipe book by MasterChef Judge Simon Gault in which he has updated classic dishes from around the world which every cook should have in their repertoire and added his five percent magic. 1. To make a cheese sauce, warm the milk, nutmeg, smoked paprika and salt in a saucepan over medium heat until steaming but not boiling. 2. In a separate saucepan, melt the butter over a medium heat, add the flour and stir until it begins to foam and loses its raw taste (about 3 minutes; do not allow to brown). Turn off the heat, whisk in the hot milk and return to a low–medium heat. Continue whisking until the mixture is thickened to ensure a smooth sauce (about 4 minutes). Fold in the grated cheese, then place in a large mixing bowl with the cooked pasta and bacon. 3. Line a loaf tin with baking paper and spread in the macaroni and cheese mix evenly to a thickness of 2cm–3cm (1 inch). Press firmly and cool, then refrigerate until completely cold (at least 1 hour). Lift out onto a chopping board and remove the baking paper, then cut into 8 slices like giant chips. 4. Place the flour on a plate. Whisk the eggs and milk together in a shallow bowl. Coat the rectangle chips in flour, shaking off the excess. Dip the flour-coated macaroni in the egg mixture, then into the breadcrumbs, pressing gently with your fingertips to help them stick. Return the coated macaroni to the refrigerator, covered, for at least 2 hours to set firm. 5. Heat the canola oil in a deep saucepan to 180°C and fry the crumbed macaroni chips in batches for 3–4 minutes until golden. Transfer to paper towels to drain, then serve immediately with wedges of avocado topped with cracked pepper. Reproduced with permission from Simon Gault Modern Classics by Simon Gault. Published by Penguin Group NZ. RRP $60.00. Copyright © text, Simon Gault, 2014. Copyright © photographs, Kieran Scott, 2014. Does anyone remember Digby Law's kumara salad! It seemed quite revolutionary at the time to use this root vegetable in a salad. He added raisins, bacon, orange juice and celery. 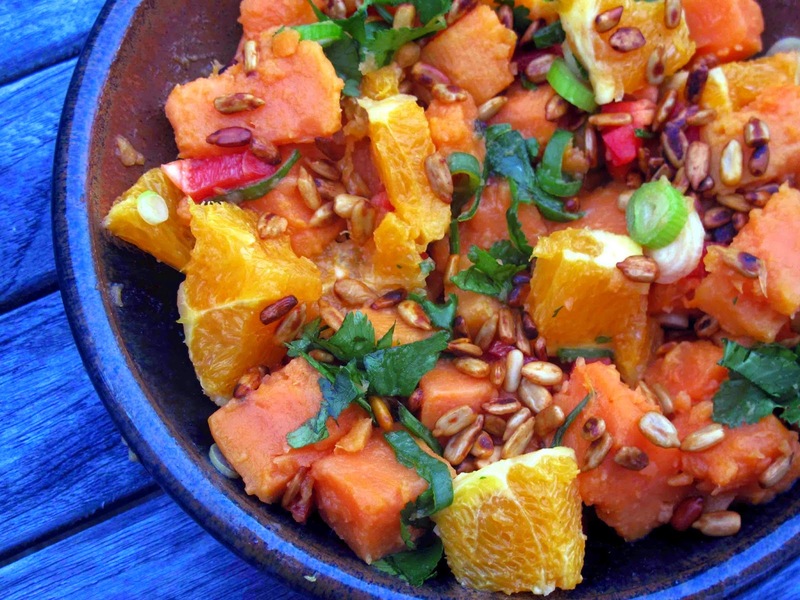 I've given my kumara salad a spicy twist by adding chilli and lemon sunflower seeds.The bright colours of this spicy kumara salad make it look very look enticing. Roasting the kumara rather than boiling it would intensify the flavour. I've made this a slimmer's version but you could play around with it and make a dressing with the lemon juice, olive oil some mustard and honey and a little garlic. It's a work in progress! Drain and put into a salad bowl. Peel the oranges, removing all the pith and cut into cubes. Seed the red pepper and dice. Add the oranges, spring onions and red pepper to the salad bowl and toss gently. Just before serving add a handful of fresh coriander and the spicy sunflower seeds. I felt inspired this morning to combine the ingredients for guacamole: avocado, tomato, red onion, coriander and lime juice with some mesclun/and or baby spinach leaves to make a healthy salad. A generous sprinkling of Tio Pablo Spicy Sunflower seeds roasted with Chilli and Lemon added a delicously spicy and crunchy finish. Slice the onion finely and soak in some cold water for 5 minutes to let the flavour mellow. Mix the mesclun/baby spinach and coriander leaves and line a salad bowl with them. 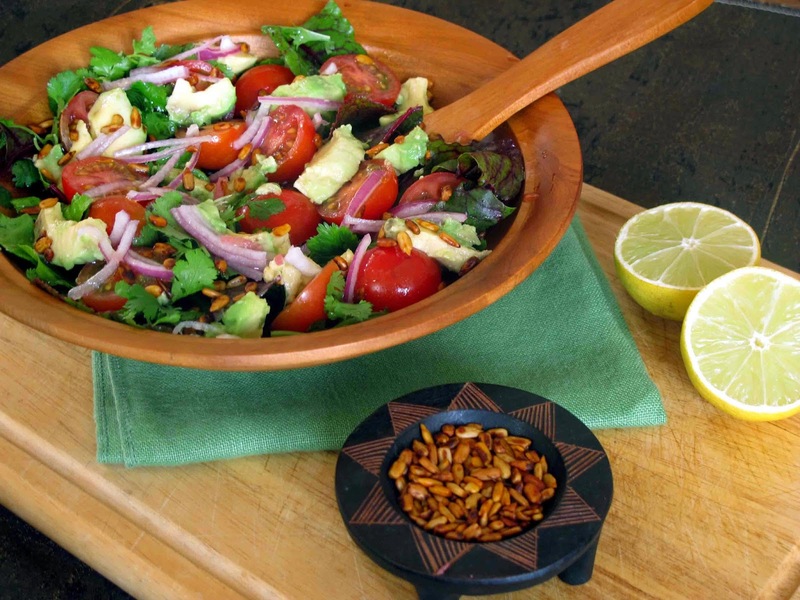 Arrange the red onion, cherry tomatoes and avocado on top. Just before serving ( so they retain their crunch) sprinkle on the spicy sunflower seeds.